So after more than enough rain, cold weather and grey days, I am starting to count down the days (hours?!) until we go to Malaysia. We booked a couple of months ago now, and are going with Rich's best friend and girlfriend for two weeks of sunshine and exploring! In June/July 2011, Kat and I went to Malaysia and Indonesia for a month... starting with KL and then the Perhentian Islands, and falling instantly in love. Since then, nothing has compared with the idyllic beaches and clear blue seas, and we're hoping to find some similar gorgeous spots this summer. 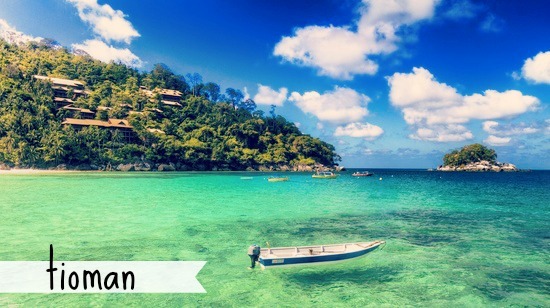 We have a few places in mind; in particular Redang and Tioman, and possibly the Perhentians again. I'd love to hear from you guys - have you been to anywhere in Malaysia that you loved? We fly to KL mid July and have two weeks to travel a bit, and relax a lot. I'd hoped to visit Langkawi, but have heard mixed reviews and is on the other side (west) of Malaysia. We're probably going to stick to the east coast, unless someone can convince me otherwise! 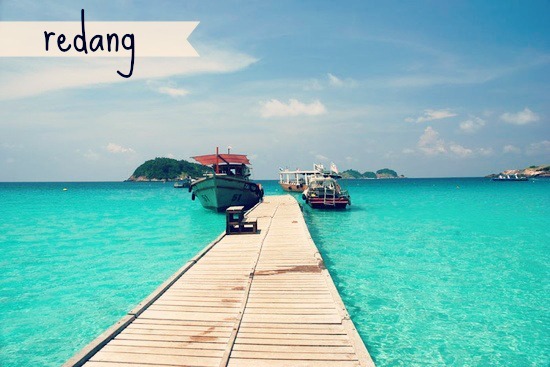 Have seen some gorgeous pictures and read great things about Redang; it's not far from the Perhentians and looks stunning. Tioman - where South Pacific was filmed (the musical geek inside shining through) and have heard so many good things... sounds like a must-visit! 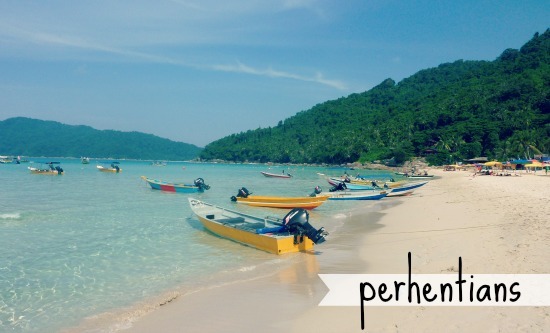 And finally, the Perhentians. We only went to the small Island (Kecil), so hoping to visit the big island (Besar) this time too. I'd love to hear from you lovely lot - places to stay, how you got there, any hints or tips! Malaysia stole my heart too. I lived in Penang for a while, but definitely the best beaches in West M'sia are the ones above..! Langkawi is really nice, very quiet. You can rent a car/scooter and drive around the whole island in a short space of time. Oh wow, these photos look like pure bliss! I've never been to Malaysia before...it just seems a bit scary and exotic. I'd love to though! Woahh, those photos are stunning, it looks incredible! I've never been to Malaysia, just Singapore and HK, but looking forward to seeing your posts on it! Malaysia is amazing! My parents are retiring there so have visited them in their apt in Kota Kinabalu on Borneo. Loved it there and had a few days in KL. They now have a house in Port Dickson but I haven't been yet. Hoping to go on 8th July for 2 weeks! I'd recommend KK and Mum and I loved seeing the orangutans at Shangri La resort. She preferred it to Sepilok as it's quieter and you get closer. I also loved Pulau Tiga for the diving and mud volcano. My parents rave about Langkawi but for the diving mainly. If you didn't get to Borneo the last time I'd definitely try to make it over there! Love from Malaysia! It is amazing how a blog reaches out to the world isn't it? :)..Redang and Tioman are in par but Redang is definitely much better preserved (thus more costly) as compared to Tioman. As for Langkawi, the happening parts would be places like Pantai Chenang, Pantai Tengah (a little on the higher end) which are tourist attractions..not much for the Kuah town, at least in my opinion. Most tourists rent cars and motorbikes to go around the island (certain places like the cable car rides, town..etc has quite a distance between them)..I have to warn that the weather can be quite hot though..may reach up to 31 degree celsius during the day..so, airy and flowy outfits, sunscreen..etc..are definitely advisable. Most of Langkawi's activities are water activities-island hopping (visit all the small islands surrounding the larger langkawi island) and eagle feeding (more on watching as we don't get to actually feed them). If you prefer a more cultural visit, you may want to try Penang. Penang is a food haven, a close second would be Ipoh which is not very far from Penang if you are travelling by car..or you may want to try Malacca, one of the very first states of Malaysia-Lots of historical buildings, grounds and relics. If you prefer a jungle adventure, Pahang should be a good start where one of our famous national forest reserves is located, waterfalls,river rafting,hiking and more. For shopping, yup, we have Kuala Lumpur's Golden Triangle (Bukit Bintang) where higher-end shopping malls are located. Mid Valley Megamall located just on the outskirts of the city is very famous among the locals and tourists alike as there is a good mix and variety of brands. The only downside is that it is usually jam-packed during the weekends. Actually, Malaysia has many other hidden attractions/places which are not so commercialized yet, so, in my opinion, it will be an experience if you know any locals who can bring you around and about here :) These are the few famous tourist attractions that I've been before, just west Malaysia, haven't been to east Malaysia yet. I couldn't put all my excitement of telling all these in words. These are just my humble opinion from my own experience and an advanced apology if I may have misrepresented anything but I really do hope that you will find your holiday in my homeland an enjoyable one! Have a safe trip!